We are looking for pictures of the front lobbies of the old and new restaurant for a picture book of the history of Carbone’s for Natalie. In particular we are looking for early pictures of the restaurant, pictures of the fountain and staircase in the old restaurant, pictures of the fish tanks in the new restaurant, and any pictures that were taken in the last months with Natalie. Help us give her a wonderful Christmas surprise. If you would like to add a personal note with your picture it will be included. Pictures can be emailed to carbonesrestaurant@gmail.com or uploaded to our facebook page https://www.facebook.com/CarbonesRestaurant/ Thank you in advance for your help!! Natalie is home and Recovering!! Just wanted to share with everyone that Natalie’s big heart is now even better. She is on her way to a full and speedy recovery at home. She would like to thank everyone for all the kind words, flowers, well wishes, and prayers. Since we announced our closing on July 7th, we have had an overwhelming response these past two weeks. With our last week approaching, we expect to be even busier. Therefore, we ask for your patience, as we want to make your last visit as special as your first. Please understand that there may be a delay in seating your party or serving your meals. There is a bright side! You can spend extra time with Natalie or reminiscing in our memories room. Saturday, July 21, 2018 is the St Bartholomew’s Our Lady of Mount Carmel festival fireworks. So that our staff and family may enjoy the festivities and the fireworks we will be closed Saturday night. We will reopen on Monday, July 23, 2018 for our usual business hours. Thank you and we hope to see you at the festival! Festival schedule including the Crabtree Fireworks sponsored by St. Bartholomew Church! Noon to 5:00. Reservations suggested. Walk-ins welcome. Our full menu will be offered. Carbone's is featuring the following items for Lent. Homemade haluski, pierogi pizza, cheddar mac and cheese, jumbo fish sandwich dinner, pecan crusted tilapia, and homemade pierogies. The Holidays are coming up soon. Take a break from all the cooking and cleaning with us. Carbone's will have special hours so our staff and family can spend time with loved ones. Sun 12/31/2017 Reservations will be taken for: 4:30, 5:30, 6:30 and 7:30. Walk-ins are welcome but will be seated after the reservations. Fireworks and parking reminder for Saturday, July 15, 2017. Carbone's will be closing at 8:00pm on Saturday, July 15, 2017 so that our staff and patrons can enjoy the Saint Bartholomew Church of Crabtree's Our Lady Of Mount Caramel Festival fireworks that begin at 10:30pm. Due to the number of festival patrons that will be coming to see the fireworks, Carbone's Restaurant the the Crabtree Volunteer Fire Department have developed a system to ensure that the restaurant patrons have ample parking while they enjoy their meal. When you enter our parking lots the firemen will collect $5 from each car. Once inside the restaurant, you will be given a $5 parking voucher that you must hand to a fireman to receive your money back. This process ensures that our patrons will have free parking. Of course, you may decide to donate your your $5. The donations will benefit the Crabtree Volunteer Fire Department to support their hard work ensuring the safety of the residents of Crabtree and the surrounding local communities. — at Carbone's Restaurant. Festival Grounds WILL NOT be opened! We will be OPEN for Mother's Day! Reservations suggested, but walk-ins will be welcomes. Reservations will be taken for 12pm, 1pm, 2pm 3pm, 4pm, and 5pm. and 7:30. Walk-ins are welcome but will be seated after the reservations. The Carbone family and staff and Mangini family are deeply saddened by the loss of Mary Ann Mangini. Mary Ann was the statuesque beautiful blonde who welcomed patrons to Carbone’s for over 50 years. During that time she has made friends with many of the guests whom she talked to and shared many stories with. Mary Ann has led a well traveled life, living in California, Alaska, New Mexico, and Hawaii when she visited her daughter Diane. Mary Ann’s children also helped us at the restaurant. Her son Dennis was a bartender for many years, and his twin Diane was a server. Her husband, Tony (Taw), also worked for the Mangini family business, Crabtree Oil, for many years as a driver. Mary Ann was so much more than an employee, she was a sister-in-law, an aunt, a friend, and a truly special person. Her passing leaves an emptiness in our hearts. Come in and try our new Fall Featured Items. Pictured below is a peek of what you will get!!! Our New Fall Items Have Arrived!!!! The Carbone Family and Staff are deeply saddened by the passing of retired owner Natale “Buz” Carbone’s wife Elizabeth. She was the Sister-in-Law and Aunt to the current owners Natalie Carbone Mangini and her children Vanessa Hooper, Natalie Stefanick, Vince Mangini, and Melissa Orlosky. Elizabeth "Betty" (McKlveen) Carbone, 80, of Crabtree, passed away peacefully Friday, August 19, 2016, surrounded by family and friends after a long and heroic battle with cancer. She was born April 5, 1936, in Latrobe, the only daughter of the late Eugene F. and Helen Marie Szabo McKlveen. Betty was a graduate of Latrobe High and also completed studies at Latrobe Hospital to become a registered nurse, where she worked in the delivery room. She married Natale J. Carbone III on June 20, 1959. Betty was walked down the aisle by her adoptive 90 year old grandfather, Glenn Grant Vance. She was a member of St. Bartholomew Church in Crabtree. 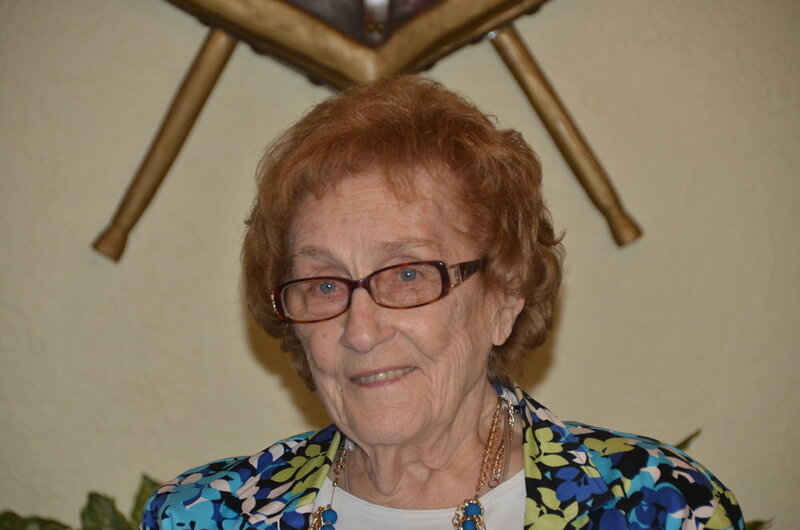 She had many interests; she was an avid antique collector, she became a life master of Bridge, she loved her gardens and was a past officer of the Greensburg Garden Club. Chautauqua, N.Y., was her favorite place, where she served as the live in hostess of their women's club for many years. Betty loved people, traveling and entertaining. In addition to her parents, she was preceded in death by her adoptive mother, Alberta V. Rogers; and her son, Natale J. Carbone IV. She is survived by her loving husband Natale (Buz) Carbone III and adoptive sister Harriett (Susie) Rogers, daughter Beth (John) Evangeliste, grandchildren Helen Evangeliste, Emma (Charles) Roka, great-grandchild Gabriel. Son Richard (Bernadette) Carbone grandchildren Christopher and Steven Carbone; a sister in law, Natalie Mangini; several nieces and nephews and her beloved cat Bailey. Relatives and friends are invited to celebrate the life of Betty from 3 to 8 p.m. Friday in the CLEMENT L. PANTALONE FUNERAL HOME INC., 409 W. Pittsburgh St., Greensburg, PA 15601, 724-837-0020. Parting prayers will be held at a time to be announced Saturday in the funeral home, followed by a funeral Mass to be celebrated at a time to be announced in the St. Bartholomew Church, with Father Justin Matro, OSB, celebrating. Interment will be private. The family would like to thank all the Excela Health Hospice staff who cared for Betty. In lieu of flowers, memorial donations may be made to Excela Health Home Care and Hospice, 134 Industrial Park Road, Suite 1600, Greensburg, PA 15601. Betty's family has entrusted her care to the Pantalone Funeral Home Inc., Greensburg. To share your memories and photos, offer your condolences or for directions, please visit us at www.pantalone.com <http://www.pantalone.com/>. Natale N. Pantalone, supervisor. In honor of founder Nat Carbone's birthday we want to give you a prize. Today Nat Carbone would have been 112 years old. To celebrate his birthday we would like to give a prize to the first person who can name some of Nat's siblings. Relatives can confirm the correct answer only. Fireworks and parking reminder for tonight. Carbone's will be closing at 8:00pm on Saturday, July 16, 2016 so that our staff and patrons can enjoy the Saint Bartholomew Church of Crabtree's Our Lady Of Mount Carmel Festival fireworks that begin at 10:30pm. Copyright © , Carbone's Restaurant. All rights reserved.